Sony has introduced BRAVIA X900F and A8F 4K HDR OLED TV series at CES 2018. designed to deliver enhanced color, contrast, and clarity. 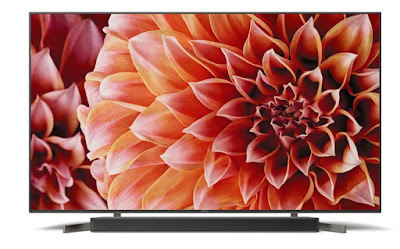 The A8F Series range from 65″ and 55″ models OLED 4K TVs, while the X900F Series includes 85”, 75″, 65″, 55″, and 49″ 4K HDR TVs. The New A8F 4K HDR OLED TVs is the successor to the 2017’s A1E BRAVIA OLED 4K HDR TV. The A8F incorporates Sony’s unique 4K HDR picture Processor X1 Extreme and Acoustic Surface technology. It features traditional TV design with the enriched visual experience and wide viewing angles thanks to OLED panel’s eight million self-illuminating pixels. Sony says that unlike the conventional LED TVs where the sound emanates from the bottom or sides, the A8F enables a fusion of image and sound, that makes it look like the sound is coming directly from the character on TV. It features TRILUMINOS Display with X-Reality PRO. On the other hand, the X900F4K HDR TVs with TRILUMINOS Display, series uses a new X-Motion Clarity technology that keeps fast action images smooth and lifelike. Both the series has support for Dolby Vision and the X900F series also supports Dolby Atmos sound technology. Since Both the series are Android TV support, they come with Google Assistant built-in and is also compatible with Amazon Alexa as well. Sony didn’t reveal the pricing and availability but mentioned that the X900F and A8F BRAVIA OLED series will be on sale at Amazon, BestBuy, and other authorized dealers in the U.S..